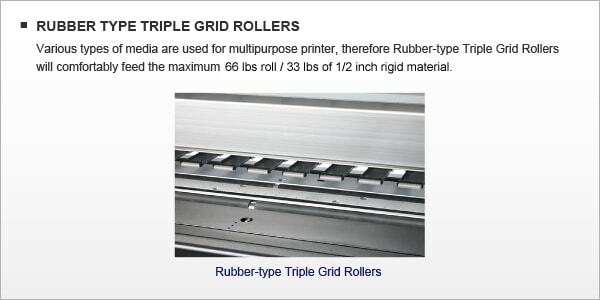 The versatile, affordable 1617H hybrid printer from Mutoh gives you the flexibility of printing on either roll or rigid substrates, and is a great solution for a variety of projects including car wraps, tradeshow graphics, POP displays and much more. 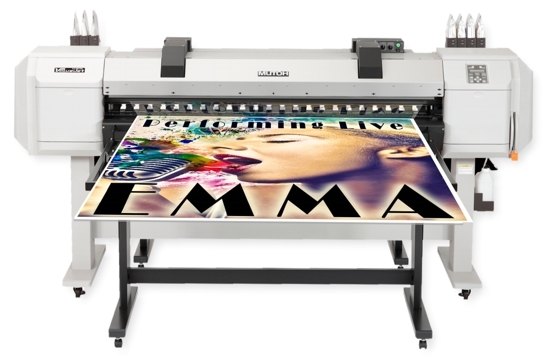 The ValueJet 1617H reaches board printing speeds up to 300 sq ft an hour in production mode, and can print directly onto corrugated plastics, polystyrene, pvc, acrylic, polycarbonate, foam board, aluminum composite, banner material, vinyl, wall coverings and more. Printing prototype packaging and mock up displays has never been easier. With the thick head height capability you can print on substrates up to 15 mm thick. The new MP Ink utilizes state-of-the-art resin chemistry and is about 60% BIO based with no heavy metals. 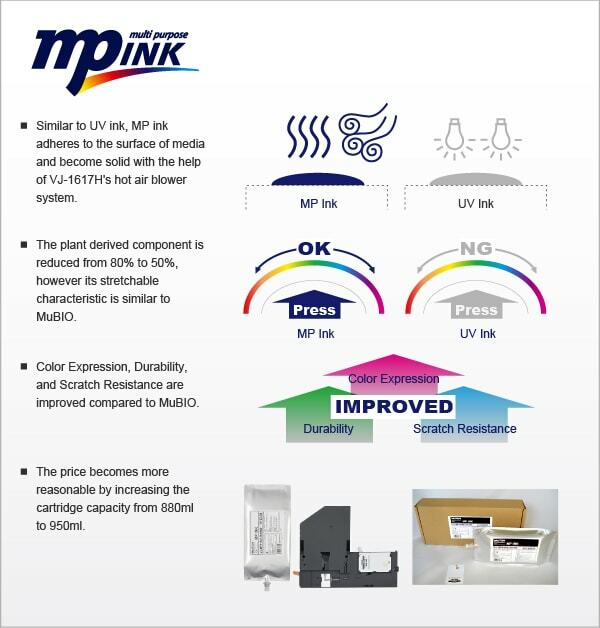 MP is the only ink that prints to match the surface characteristics of the substrate. The ValueJet 1617H allows you to print using white ink for greater print capability. The ValueJet 1617H is the first printer in its class to include an integrated spectrophotometer. Regular use of the SpectroVue VM-10 helps to ensure optimum color reproduction and reproducibility. It enhances image quality by utilizing the full color gamut of the printer and achieves a higher level of color consistency. One year limited on-site warranty provides peace of mind. Mutoh’s highly respected one-year on-site warranty backs up our precision engineering and meticulous production practices to give you a full-package that is a great value any way you look at it.